Rosenfeld Injury Lawyers LLC represents people with post-surgery injuries caused by defective devices from surgery including replacement hip and knee implant procedures and other types of professional negligence. Our law firm has extensive experience in resolving cases for our clients who have undergone revision surgery after receiving the defective implant that was voluntarily recalled by the device manufacturer or forcibly recalled by the FDA. The Stryker Howmedica Osteonics Corporation manufactures hip implants and other medical devices, generating billions of dollars in sales and profits every year. However, the Food and Drug Administration (FDA) has received thousands of complaints concerning the adverse events patients have experienced through some faulty hip replacement devices. The company began voluntarily recalling many of their products in 2012 due to patient safety concerns. The defective hip implant injury attorneys at Rosenfeld Injury Lawyers LLC provided the facts posted below to assist families in making a better-informed decision list when seeking justice and taking legal action to obtain the compensation they deserve for their injuries. Many individuals 45 years and older on average experience extreme pain, discomfort and restricted mobility in one or both hips caused by recreational activities, accidents, and the aging process. Surgeons perform hip replacement procedures that remove all or a portion of the hip joint and reconstruct the hip with an artificial device constructed with metal, plastic or ceramic components. The prosthetic hip is built with an artificial joint of a femur ball that fits into an artificial pelvic bone socket that is held together by a stem. A successful procedure will restore range of motion and eliminate pain. The doctor may determine that a partial replacement is better for the patient than complete removal of the entire joint. In these cases, the surgeon will resurface the damaged areas of the ball or socket and scrape away damage bone tissue to restore the joint. Successful operations require the surgeon to cover the resurfaced bone areas with synthetic components. In some cases, the physician will perform a revision surgery after the initial artificial hip components fail. However, the surgical procedure is complicated, expensive, and has a significantly longer recovery time. Additionally, there is the potential that the patient will need to undergo multiple revision surgeries after the first implant fails. Since the Stryker Corporation began designing, manufacturing, marketing and distributing their total and partial hip replacement devices, they have been under the watchful eye of the FDA. While some of their products have been recalled, many patients have yet to undergo revision surgery because they have not yet experienced the adverse effects caused by the complications of their defective hip implant. The hip replacement devices were defective during the design and manufacturing processes. The metal components easily corrode and do not lock fully as needed, causing a “taper lock failure” because of a faulty stem head taper junction. 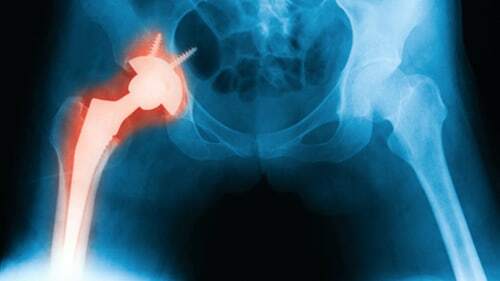 The company acted negligently in designing, manufacturing, marketing and distributing numerous hip replacement devices. The Stryker Corporation failed to test the medical devices appropriately and instead chose to fast-track FDA approval to begin generating profits ahead of ensuring patient safety. The company failed to warn patients and doctors promptly that there were known toxicity issues and component failures. All Rejuvenate and ABG II medical devices manufactured by Stryker before 2012 were recalled through FDA action or voluntary recalled by the corporation. The Stryker Howmedica Osteonics Corporation initiated the recall event (75246 – Z-0378-2017) of their LFIT Anatomic V40 Femoral Head devices on August 29, 2016, after “Stryker received several complaints describing incidences of harm secondary to taper lock failure and for specific lots of numerous catalog numbers of LFIT Anatomic CoCr V40 Femoral Heads.” The company asked their branches and agencies “to quarantine the affected devices” and “sent an updated recall notification… to their affected customers because additional customers and lot numbers were identified.” The recall affected 42,519 units within the US and globally. After every recall, the Stryker Corporation suggested that patients who have undergone hip replacement surgery involving the Rejuvenate, ABG II or the LFIT Anatomic V40 Femoral Head device contact their surgeon immediately. Possibly. You can confirm your suspicions by verifying the make and model of the device that your surgeon implanted during your initial hip surgery. You can do this by reviewing your medical records or conversing with your surgeon on which device was used to partially or entirely replace your natural hip joint. Consulting with your surgeon immediately is crucial if you are experiencing swelling or pain around your defective artificial hip. The symptoms associated with the product's corrosive and fretting defects are not always apparent until they have done significant and sometimes irreversible damage to the body. Undergoing the painful revision surgical procedure might help minimize future health issues that could last a lifetime. Your doctors may recommend undergoing a series of x-rays or an MRI (magnetic resonance image), so they can examine bone tissue, the condition of the device and its placement. The surgeon may identify a head-neck disassociation or denigrating components. The doctor may recommend an aspiration procedure were fluid is removed from the joint or blood work is taken. These body fluids can help identify metal iron levels that are often the first indicators of a severe medical complication. Is Revision Surgery My Only Option? Only a qualified surgeon can answer that question. However, evaluating a condition and other associated factors can help the doctor decide what is best. The doctor will review your medical record, assess your health, take your weight, and factor in your age before calculating the risks versus the benefits of undergoing additional surgery to correct the problem. Revision surgery is significantly more complicated than your first implant procedure. Because of that, you may have to see a different surgeon who specializes in revision surgeries. Before taking any action, it is essential to get a second opinion, ask your surgeon their level of expertise in performing the revision operation and their experience in handling defective devices manufactured by Stryker or other companies. Injured by a Recalled Stryker Implant? The Food and Drug Administration regulates medical device manufacturers approval processed for the products they want to offer for sale in the medical marketplace. Stryker Howmedica Osteonics and other hip replacement manufacturers are required to conduct ongoing clinical trials, extensive research, and testing. However, the process can be sidestepped, which often places the health and well-being of the patient in jeopardy. If your loved one was harmed after receiving an artificial hip, their injuries might be the result of medical negligence or defective medical device. The product liability and medical malpractice attorneys at Rosenfeld Injury Lawyers LLC provide legal assistance to patients who have suffered injuries after undergoing surgical procedures. Contact our attorneys today to schedule a free, no-obligation case consultation to discuss the merits of your compensation claim. Our legal team accepts all personal injury case, wrongful death lawsuit, product liability suits and medical malpractice claim through contingency fee agreements. This arrangement postpones the payment of legal services until after we have successfully resolved your case through a jury trial or negotiated out of court settlement. Our attorneys provide every client with a “No Win/No-Fee” Guarantee, meaning if we are unable to secure financial compensation on your behalf, you owe us nothing. All information you share with our law office remains confidential.